Mahogany inscribed in pencil and cut to shape. 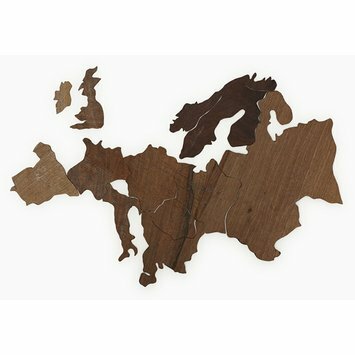 This dissected map of Europe was possibly drawn by Lady Charlotte Finch, and cut to her direction. The pieces are labelled in pencil on one side in French, and on the other in English. The English is possibly written in a child's hand, with the 'S' of Spain written backwards. It was held in Lady Charlotte Finch's puzzle cabinet, in which she kept the dissected map puzzles she had commissioned for the children of George III, in her role as Royal Governess. 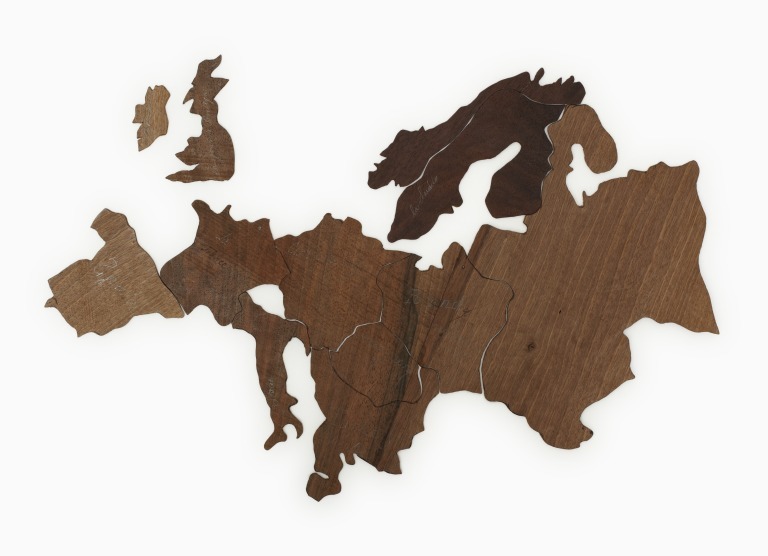 Manuscript dissection puzzle of Europe, from 1750s, thin mahogany with names inscribed in pencil in French on one side and English on the other and cut to shape along country lines in 12 pieces. 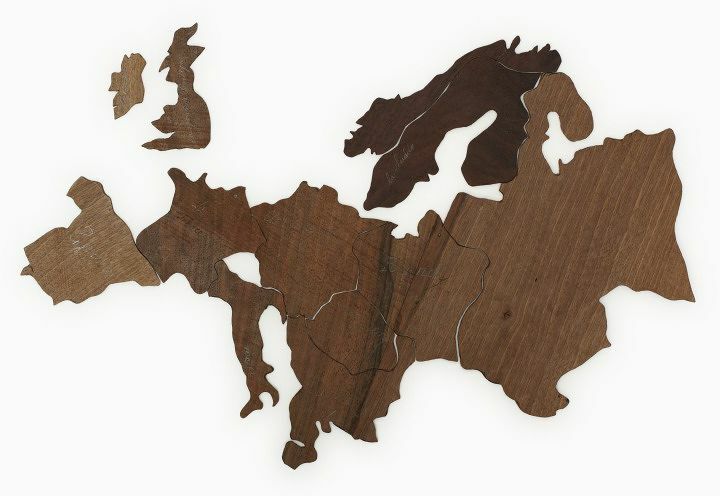 Manuscript dissection puzzle of Europe, 1760s, mahogany, from Lady Charlotte Finch's puzzle cabinet.